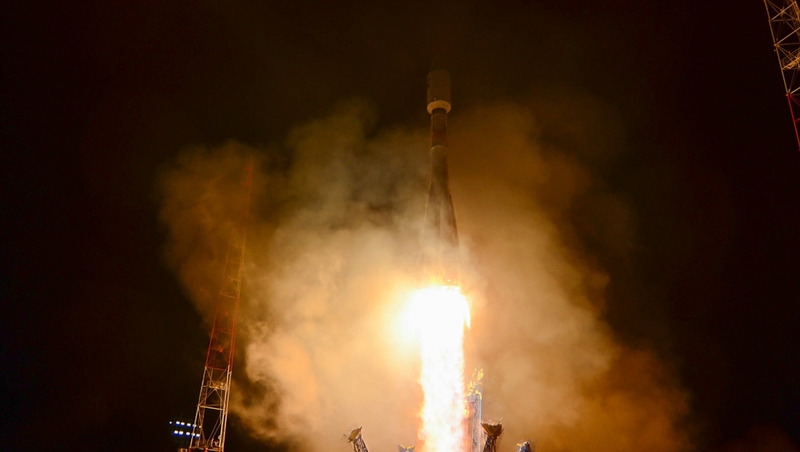 Russian investigators have concluded last month’s Soyuz MS-10 abort was caused by a sensor failure on one of the four Soyuz FG boosters. 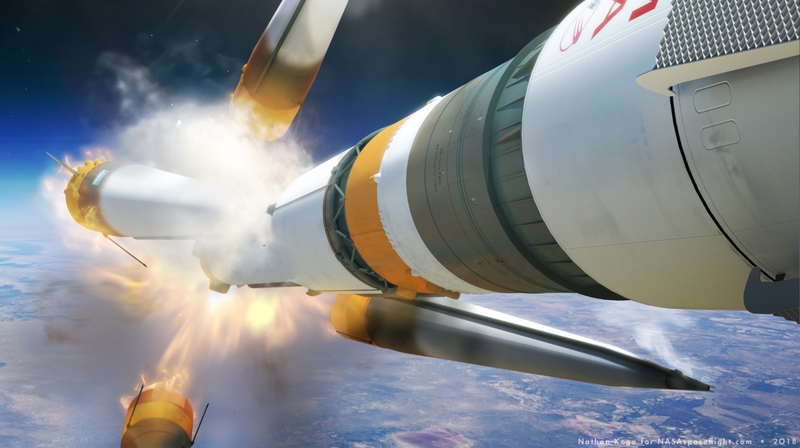 The sensor, which triggers LOX valves to vent on the top of the booster – allowing them to cleanly depart from the core – resulted in the booster sliding down the side of the core and rupturing it tank, causing the Soyuz FG to fail and the Soyuz MS-10 to conduct an emergency abort. A press conference blamed an “error during assembly” of the launch vehicle as the root cause. Aleksey Nikolayevich Ovchinin and Nick Hague were set to take up their tour on the International Space Station. However, as opposed to months, their space flight ended after 19 minutes and 41 seconds. The majority of that flight was a ballistic abort, following the loss of their Soyuz FG rocket. Roscosmos immediately created a State Commission to determine the cause of the MS-10 abort and those findings have now been released via an address to the media on Thursday. A few slides were shown, noting they had onboard video but opted to only show a screenshot of the booster impacting the core during the press event. Following a nominal launch, the Soyuz FG moved into staging, with the four boosters – that had expended their propellant, separating. That sequence began at 117.80 seconds after launch. The video was later published by Roscosmos, showing the full ascent from launch, through first stage flight, booster shutdown and then staging. What is clear from the video is the recontact between the booster and core caused a dramatic loss of the Soyuz FG within seconds of the event. During live TV coverage of the launch, an onboard view of the two crewmembers showed them being jolted in their seats during staging before the camera view froze. The crew being jolted can happen during a Soyuz staging, although the event during MS-10 was clearly more violent than normal. Returning to an external view, the usual view of the four boosters creating a “Korolev Cross” immediately showed something was wrong, with only three boosters making up the cross, while a fourth appeared to be acting independently. With additional debris in the field of view, it was immediately clear the staging event hadn’t gone to plan. According to L2 information, the problem began at 118-119 seconds into ascent, when the D booster did not properly separate from the core due to the valves on oxygen tank failing to open. The valves release a vent of liquid oxygen, which helps to push the booster away from the core. The reason for the valves failing to open was due to a sensor – located near the top of the booster – failing to trigger the valves. With the core still firing, the expended boosters naturally fall away. However, with the vent valve failing to push the booster away, the booster effectively slid down the core – or, only partially separated and recontacted with the vehicle – rupturing the core stage tank. The booster hit the core, which was registered by the Soyuz MS-10 flight computer via the stack being pushed over seven degrees off course, automatically initiating the shutdown of the Soyuz FG rocket and commanding the thrusters on the Soyuz MS shroud/fairing to pull the spacecraft away from the failed rocket. The launch abort tower had already been jettisoned seconds earlier into the launch. The timing us understood to be T+121.57 for the MS flight computer to command the abort mode 0.05 seconds later for the spacecraft to be pulled free. 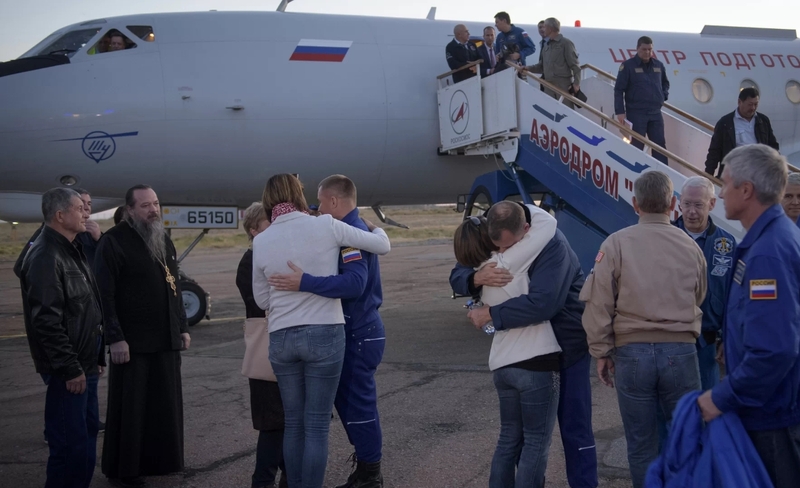 The crew were placed into a ballistic abort and landed safely, before being quickly joined by Search and Recovery forces downrange from the launch site and flown back to be greeted by their relieved relatives and officials. 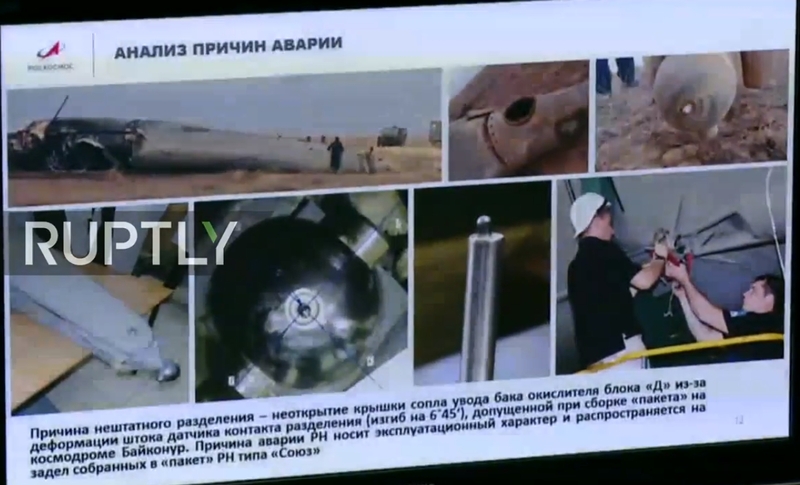 Aiding the investigation was the recovery of some of the Soyuz FG, notably the failed booster. It is understood that provided clues into the sensor failure, with an image of the recovered booster showing it was in a good enough condition to provide a hands-on evaluation of its hardware. It has been noted the valves did open, but only as a result of the impact with the core stage. This explains why venting was observed in the live coverage. It also showed “deformation” of the sensor rod – which was the focus of one slide provided by the agency. Ahead of the Russian investigation update, executive director of Roscosmos for manned programs, Sergey Krikalev, noted the failure was the cause of “the abnormal work of the sensor,” during an interview with Russian news agency Tass, a day prior to the actual investigation media event. Although there are several variants of the Soyuz rocket, they all have general commonality with the booster stage. The successful “return to flight” for the rocket came during the Soyuz 2-1b launch of the Lotos S-1 (4) reconnaissance satellite a week ago. While that launch wasn’t televised due to the military nature of the mission, no issues occurred during the booster separation element of the launch. Additional Soyuz launches are upcoming in November, with the Uragan-M launch at the weekend and an Arianespace Soyuz ST-B rocket launch with EUMETSAT’s polar-orbiting weather satellite on November 6. It was noted that due to the assembly issue with the Soyuz FG that launched with Soyuz MS-10, additional work has been taking place on Soyuz launch vehicles that have passed through processing to the point of booster mate. The return of the Soyuz FG variant is expected to the next Progress resupply mission to the ISS, which is set to take place on November 16. Should all the missions go to plan, that will clear the path for the next crewed launch to take place in December and allow the ISS to begin to recover from operating with a smaller crew size after Ovchinin and Hauge failed to arrive.